What Do Doctors, Nurses, and Doulas Choose For Their Own Birth? When people hear I’m a doula they may imagine it has something to do with home birth. However, the majority of my doula clients are like the majority of the US population who deliver in the hospital with either a midwife or an OBGYN. They may plan for an unmedicated birth or they may choose an epidural or some other pain medicine. Others may have a planned or an unplanned cesarean birth. I think it’s important to say a doula who cares about non-judgmental support can and will support all their clients’ choices. Period. But today’s story is not about my doula clients. It’s about my personal experiences with birth. Because before I was a doula, I became a mother. I have three children, a daughter and two sons, in that order. I like to share that all three were born in different states. We aren’t military, but we’ve moved a lot. During my first pregnancy I started looking for a doctor early on and called several OBGYNs but was soon frustrated that each of them wanted to start running tests. After a few calls I contacted the Birth Cottage, an accredited free-standing birth center in Tallahassee. They had an open house so families could come and ask questions. After hearing about their training and expertise in treating healthy, low risk women and their close monitoring for even the slightest shift out of that category, we both felt confident. During my first pregnancy I considered the possibility of delivering at our house rather than the birth center, knowing the safety and tools for treatment would be the same in both places. But there was something psychologically reassuring to me, and also ironically foreshadowing, about needing to get in the car and drive to the birth center when I was in labor. It’s important that every person feel safe during labor because the hormones which regulate the contractions work best when people feel happy, safe, and unafraid. The birth experience was not without challenges. I did have doubts about my ability to go on without pain medication. However, I told myself that the 7-minute drive to the hospital for an epidural would be worse than sticking it out. I also had AMAZING support from my husband and my two best friends. One of them is a doula today. During that moment of doubt, there was something powerful about locking eyes with another woman. I take that moment with me into each of my doula clients births, ready to lock eyes if they need that. Three months after my daughter was born I saw a screening of the film The Business of Being Born, a documentary by Ricki Lake about the maternity care system in America. Three months after that we were living in Pennsylvania and I took my first doula training through Doulas of North America (DONA) International. And then we moved again. This time to northern Virginia. When my baby was 14 months old I got pregnant with my second baby. This time we didn’t have insurance, and didn’t qualify for Medicaid, so we knew we’d be paying out-of-pocket. My calling around list came down to cost. Today, the average hospital birth in the US costs between $10-30K. Just some perspective, Kate Middleton’s recent luxury birth costs less than a typical hospital birth in America. In 2009 we were going to pay $3500 for all of our prenatal care, the birth, and 6 weeks of postpartum follow-up care with our Certified Professional Midwife. I asked my husband about his feelings of homebirth and he agreed quickly, saying we’d already had a low risk birth once, why not have the advantage of not going anywhere? Comedian Jim Gaffigan said, “people always assume there is some laziness involved. ‘You didn’t want to go to the hospital?’ It was far. I didn’t feel like putting on pants.” People are right. Jim, was right. We were glad to have chosen a planned home birth for our second baby because he made his appearance in just 2.5 hours, most of which I spent in denial that things were going so quickly. Our second baby was coming out just as the midwife, Nicole Jolly CPM, walked in the room to catch his head and body. There is a good chance that he’d have been born on the side of the road with no doctor or midwife if I had planned a hospital birth. Instead, I got to crawl into my own bed and rest immediately after! Fast forward three and a half years. We were surprised with our third baby. It was time for a big change. At 20 weeks pregnant we packed everything and drove from Alexandria to Colorado Springs. 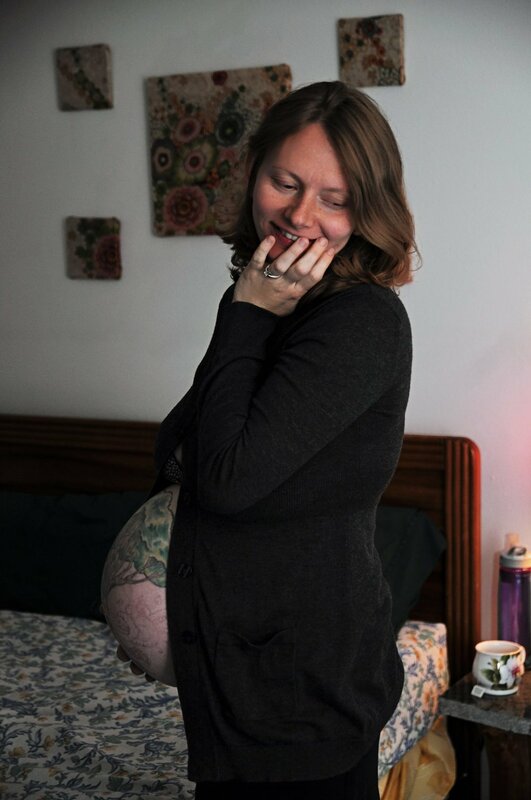 I interviewed midwives and chose Jessica Nipp CPM, of Holistic Homebirth. My husband was having some pretty serious talk about a vasectomy after this baby, so this was my last shot to do all the things I’d learned about since becoming a doula. Hypnosis for comfort? Check. (also, no insomnia!) Birth photographer? Check. Even better that she was family! Midwife who lived 10 minutes away and wouldn’t have to fight DC rush hour? Check. And, this time there was a birth tub and it was glorious! The same way some women describe the relief of getting an epidural? That was me as my body sank into the water, my aqua-dural. So, here I am, 10 years into being a doula. My own three out-of-hospital birth experiences, but also a ton of humility to know that every birth is unique, not better or worse. They say you will fear what you don’t understand. For me, learning about my options helped me to have more of them, and that knowledge led to less fear of the whole process. I wonder if this film will be to someone what The Business of Being Born was to me? I love my #doulalife. Come see this film! Or if you can’t come see it, consider donating to the fundraiser, as proceeds will go to a college fund for the children of Camilla Yrure CPM, a friend and colleague who passed in 2017. Tickets and donations can be found on the Eventbrite link.